By means of architecture, or by means of what will be slightly but significantly different from what architecture has until now been, perception can be re-routed and new sites for the originating of a person can be found or formed. - Architecture: Sites of Reversible Destiny, p. 79. 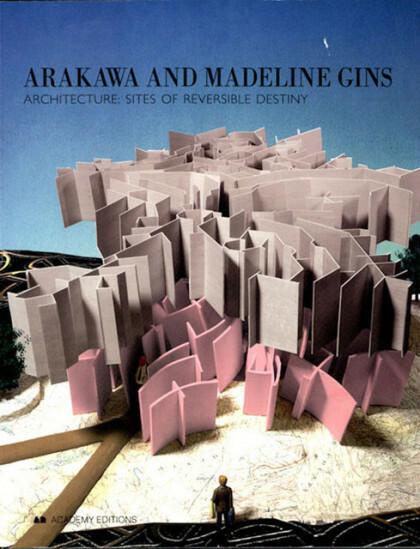 Architecture: Sites of Reversible Destiny begins with an essay by Australian philosopher Andrew Benjamin and showcases a selection of projects including Site of Reversible Destiny (Gifu,Japan), Reversible Destiny House I, The Bridge of Reversible Destiny (Epinal,France), and Double Horizon Public Housing (Berlin,Germany).